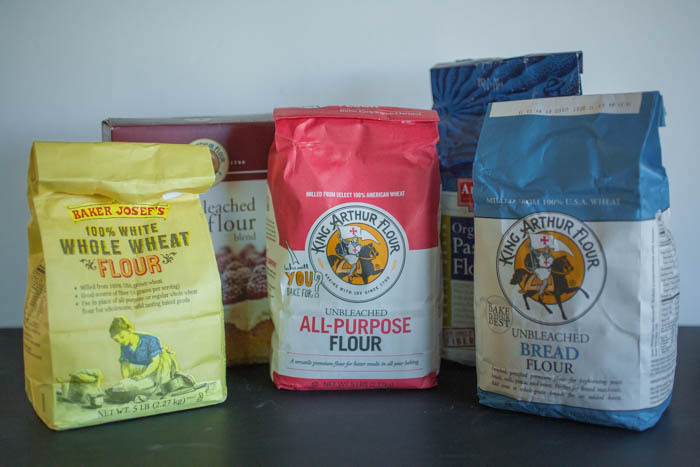 Each type of flour is different. Each type has different protein rations, comes from different types of wheat, and even contain other elements that make them suited for certain types of baking. 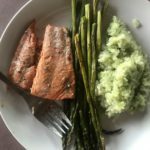 Using another type of flour than the one listed in the recipe can actually ruin a recipe! Protein in bread? Not something you may think about when you think of baked goods. But below I’ll mention how much protein a certain type of flour contains. Protein is important because it helps add structure to baked goods. As I said above, more protein equals more gluten, which means more structure. For example, certain types of bread require high levels of protein to help create that delicious pillowy, holey, slightly chewy center you expect. Without the right amount of protein or gluten, the bread won’t develop and you’ll be left with something that’s too chewy and too dense. On other hand, too much protein will ruin a pastry that’s supposed to be delicate and flakey or a cake that’s supposed to be soft and light. All-Purpose, or AP, Flour is a blend of different wheats and contains 10-20% protein. 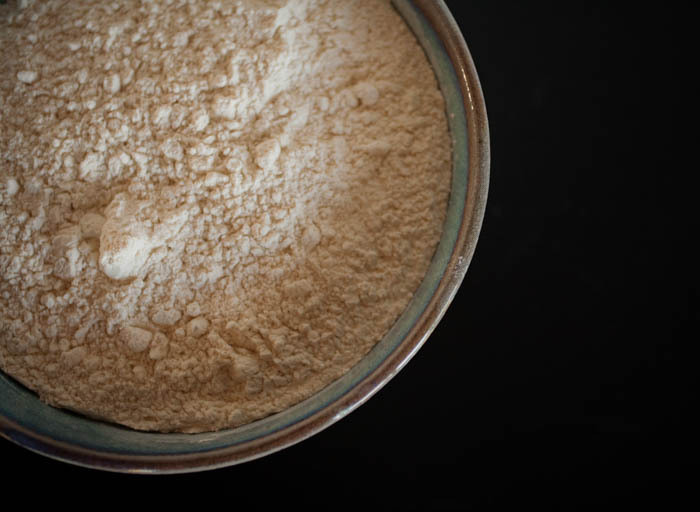 When to use it: AP flour definitely lives up to its name; it’s probably one of the most widely used types of flour. You can use it in many types of breads, cookies, cupcakes, pie doughs, biscuits, etc. Flour Information: There are two different types of AP flour: bleached and unbleached. 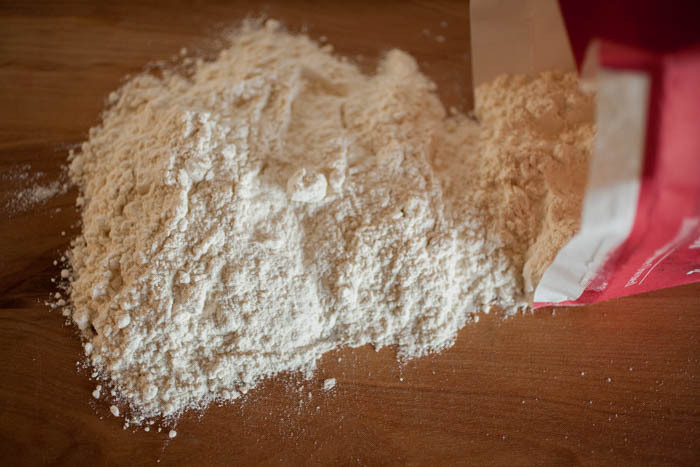 Bleached flour has been bleached using chlorine or peroxide. Often, nutrients are added to replace those lost during the bleaching process. Unbleached flour, although not as white, has not been chemically treated and retains its nutrients. Both can be used interchangeably (although the color could be slightly altered if you use unbleached flour). Whole wheat flour is flour made from the entire kernel of wheat. It is denser and has a slightly nuttier flavor. When to use it: Whole wheat flour can be used in muffins, rustic and hearty breads, and even pastas. Because it is denser in nature, it isn’t suitable for all kinds of baking. Instead, it’s often combined with AP flour to ensure the final product isn’t too dense. Flour Information: Because it’s made from the entire kernel of wheat, it’s higher in nutrients and dietary fiber than other types of flour. Pastry flour is a very finely milled flour with 8 to 10% protein. 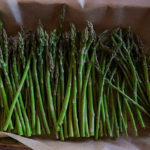 When to use it: Not just for pastries, as the name suggests, but also for pie doughs, cookies, biscuits and any other recipe that calls for its use. Flour Information: Pastry flour’s protein content helps doughs come out light and flaky instead of gummy or brittle. Pastry flour shouldn’t be used in recipes that rise quite a bit, like breads that require yeast, because it doesn’t have enough protein for the chemical process that makes the doughs rise. Cake flour is a lot like pastry flour—it’s finely milled soft wheat with 6 to 8% protein and a high starch content. When to use it: For cakes but also cupcakes and some types of cookies—anything that has a high sugar content. Flour Information: Cake flour is bleached which makes it more acidic and alters the starches and fats. This combination and the low protein content helps cakes rise so you get a light and fluffy end result. Bread flour is made from hard wheat and has a high protein content (12 to 14%), making it perfect for bread. When to use it: For yeasts breads and sometimes pizza dough. Flour Information: The protein in bread flour helps the gluten develop as you’re making the dough. The gluten helps create the craveable chewy texture and structure found in breads like Italian and French breads. As the name implies, this low-protein flour helps baking products rise without the use of leaveners like baking powder and baking soda. Why? Because it already has salt and baking powder added to it. 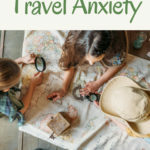 When to use it: Many Southern cooking recipes, such as biscuits and quick breads, call for self-rising flour. Some pancake recipes and muffin recipes call for self-rising flour as well. Flour Information: The best guideline for using self-rising flour is to use it when the recipes calls for it. 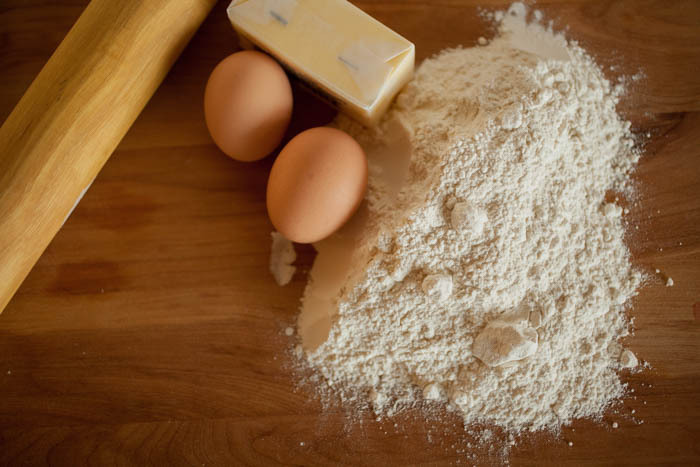 The baking soda and salt already mixed with the flour may be too much or too little for a recipe that doesn’t call for self-rising flour which will mess with your end product. Another note: Don’t add baking soda or powder to a recipe that calls for self-rising flour (for the same reason as above). There are many other types of flours and “alternative” flours, including rice, oat, sweet potato, and cassava. Pasta flour also deserves its own blog (and that will be coming soon! ).